Click here to view the Entire Gallery Collection. This is a series of six paintings by Senan O’Brien depicting the island as it is today. The island has been uninhabited since 1976 but the settlement had sixth century monastic origins. Beautiful, limited edition, prints of these paintings on museum quality 310 gm Hahnemühle paper are now available on line. Large and medium Oak Framed prints, including mounts and glazing, are only available from the gallery for €250 and €140 respectively. 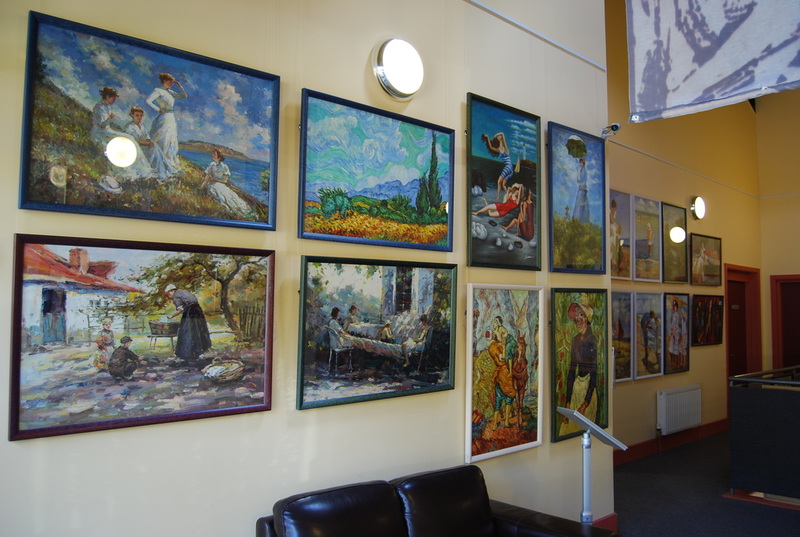 A series of 20 original watercolours by Senan O'Brien. Each work titled and signed verso. This is a selection of large (96x66cm) paintings ideal for display in your sitting room, lounge or bedroom. All the works are individually painted in oil on canvas. Some are in the style of Picasso, Monet, Van Gogh etc. Now only € 180 (was € 220) each! Click here to view the complete collection of 37 images.